A couple of mentions around the marketing world by NextDayFlyers blog and MarketingPilgrim regarding the effectiveness of direct mail have got us thinking about the integration of print and social media campaigns. Some companies have reviewed the cost savings offered by digital communications compared to cost to print, mail and design mailers, letters and postcards and have begun shifting marketing dollars for those projects. E-mail, Twitter, Facebook and other channels can be cost-effective ways to build an online presence and connect with customers and prospects. But, let’s face it, social media ROI can be difficult to measure. For some businesses, an online-only strategy might be a shortsighted approach. Are your prospects and customers online? It’s easy to assume that everyone is “plugged in” these days. Despite the meteoric rise in popularity of Twitter and Facebook, some people are not using them regularly and some not at all. Understand your audience and how they want to interact. Social media isn’t the best fit for all companies. Consumers are digitally saturated. The quantity of e-mails, tweets, blog posts and news articles the average consumer must sort through can be overwhelming. Relying only on communicating through these channels is taking a risk that your messages are glossed over or worse, sent directly to the trash file. Coordinate messages across mediums. Direct mail and social media can work in concert – extend your online messaging to coordinate with mail. Use direct mail to drive traffic to your Facebook fan page or Twitter account. No matter the method, the goal is to inspire action! The point made in the NextDayFlyers blog is well-taken. Using direct mail to solicit feedback is a great idea. Many companies are getting noticed for using Twitter for customer service purposes (notably among several is @comcastcares and @jetblue), but why not direct mail? A marketing strategy should coordinate several channels. Here at SG, we blog, tweet, email and connect with prospects via snail mail. Oh, and in person, too! What is your company doing to create an integrated strategy? Companies large and small are dipping their toes into the waters of social media. 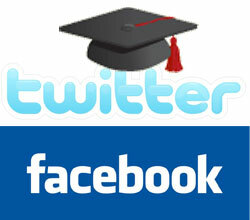 Some blog, Tweet and manage corporate Facebook pages. Others have cannonballed into social media by creating their own social networking communities. Branches of the U.S. military have embraces social media, particularly the Army and Navy. 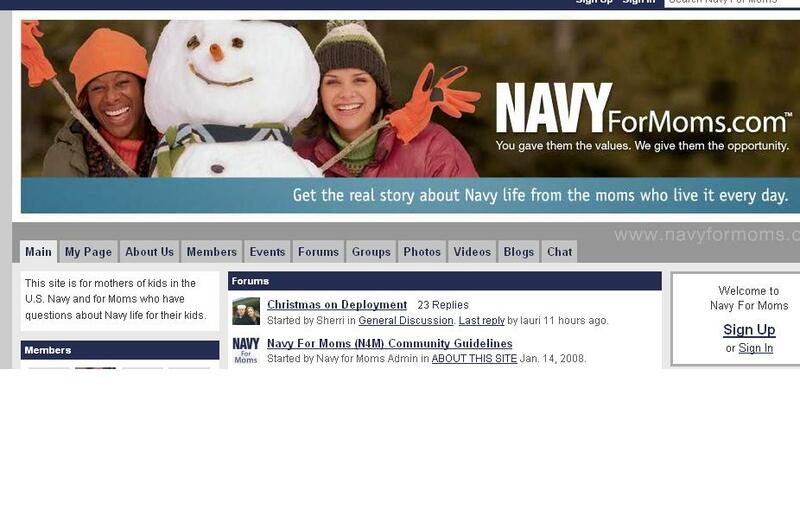 Social networking site NAVYformoms.com counts over 28,000 registered members. Developed on Ning , a platform which allows groups or individuals start and manage social networks on any topic, NAVYForMoms.com offers everything from blogs, videos, discussion forums, and allows users to upload photos. Most content on the site is member-driven, contributed by users and managed by reps for the Navy. Building community is at the core of a solid social media strategy and the Navy has created a place for moms and other loved ones to interact with one another, share stories, and express concerns or fears regarding military service. It is also a strategic marketing tool for the Navy. By empowering families to connect and create support networks, the Navy has truly embraced the power of social media. “Things have changed since I was in school.” Sounds like something your parents said to you growing up, huh? That statement still holds true. Kids are a part of a whole new learning generation; interaction is mostly via instant message, text message, Twitter and Facebook and the internet is the first place they turn for research. The shift in marketing is taking place as we speak, but are Marketing and Public Relations instructors and professors educating their students about the phenomenon that is social media? Back in the day, marketing majors were required to learn the 4 P’s (Product, Price, Promotion, Place) and that is still relevant, but along with the 4 P’s they need to have a basic understand of HTML, design software, e-mail marketing campaigns, search engine optimization, and knowledge of social media (Twitter, Facebook, YouTube,etc). However, are recent grads receiving said education? Here’s a questions for all our Marketing & PR majors out there –Are NC State, Duke and UNC teaching courses on new-media and internet marketing? Or are you educating the professors on social media? Twitter Lists 101 – What are they and why should you care? Twitter launched the “Lists” feature a few weeks ago; here’s a quick and easy over view of the feature. 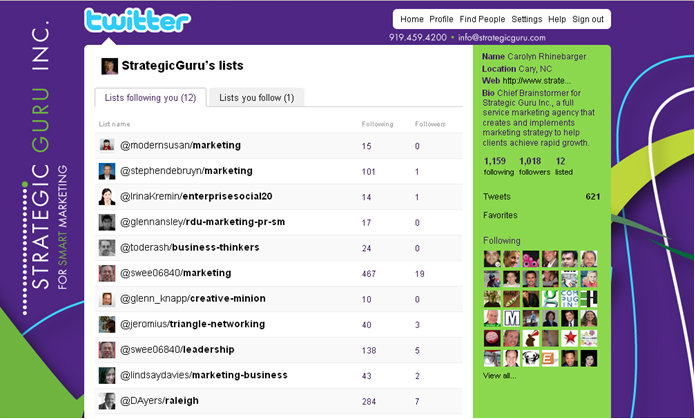 Twitter Lists is a great way to organize your followers or find new ones on Twitter. It is very similar to creating groups in e-mail; it allows you to group Tweeps by family, location, industry, or whatever category you prefer. Creating a list is easy. When logged into your Twitter account, the “Lists” feature appears below the search box, click on it to create a new list. You can make lists public or private. If public, you can recommend the list for other Tweeps to follow; they can either follow the list or people on it and it can be seen by anyone. If private, you and only you can see this list – perfect for keeping an eye on what competitors are doing. Next, hit “Create List” and you can begin to add users. The maximum number of users is currently 500 and the max number of lists is 20. •	Listorious – a 3rd party directory that categorizes the most “awesome” lists on Twitter. The site is user-friendly and allows users to browse or search for lists by category. •	TweetMeme Lists – find the most tweeted about Twitter Lists. Check out lists following us and that we follow here and more on how organizations are using Twitter lists. Many brands have created Facebook fan pages to jump on the bandwagon, but don’t know how to optimize their page to leverage the power of social networking. Facebook fan pages offer the user many of the same options as a personal profile such as posting status updates, info and photo tabs, and application boxes. However, to be effective the user should understand the importance of placement and interaction. •	Create a vanity URL – We’ve spoken about this in a previous blog post and can’t stress it enough. Having a vanity URL makes it easier for users to find you on Facebook and increases your shareability. •	Optimizing your share preview – A new feature to personal profiles as well as fan pages is the opportunity to share links. This feature allows users to select thumbnail images to be displayed when shared and allows the placement of the Facebook logo or link to your own site to drive traffic to your fan page. •	Perfect Profile Picture – Having the perfect profile picture is key in attracting new fans – it’s the first thing they see when surfing for your brand. When cropping the picture make sure it’s 200px wide with a 12px border around important information since Facebook automatically crops images. Facebook fan pages are growing in popularity, so be sure to follow these tips to ensure your brand doesn’t get lost in the shuffle and help your fans find you. An added bonus – It’s free and easy! And become a fan of Strategic Guru while you are at it! If you’ve been using Twitter for some time or are new to it, you’ve likely seen a word preceded by a hash symbol (#) in tweets, like #bigbadball. What are these used for? Simply put, Hashtags are a way to track tweets on a specific topic and make those topics easily searchable. Hashtags can be a great way to track a social media campaign on Twitter if utilized properly. When using a hashtag for a campaign, be sure that it’s only included in tweets related to the campaign and not all of your tweets. Websites like What’s the Trend, Monitter and TweetGrid show trending topics and also let you search for a specific hashtag. As mentioned earlier, we use HootSuite to manage Twitter and feel it’s a great tool to track the searches and tweets that include your #hashtag.